On March 8, Russia celebrates International Women’s Day. One of Russia’s biggest public holidays, it is second only to New Year and Russians go all out to congratulate their women. It’s impossible to ignore the infectious spirit of this holiday. Beaming men wait with red roses at metro exits and happy couples linger about in the streets. See them drinking champagne, while the first sunshine after many dark winter months warms their hearts and their relationships. Employers would be fools to forget to give gifts to their female staff. Many clubs and restaurants celebrate this special day the evening before, so be sure to mark your calendar and visit one. Women’s Day is has its roots in the (pre)revolution days. It was first celebrated in Russia on the last Sunday of February 1913, in conjunction with the peace movement on the eve of the First World War. The demonstrations marking International Women’s Day in Russia proved to be the first stage of the Russian Revolution. In 1917 Russian women rallied on the last Sunday of February for their right to bread and peace. This demonstration was part of the movement that led to the February Revolution. Four days later the last tsar was forced to abdicate and women won their right to vote. 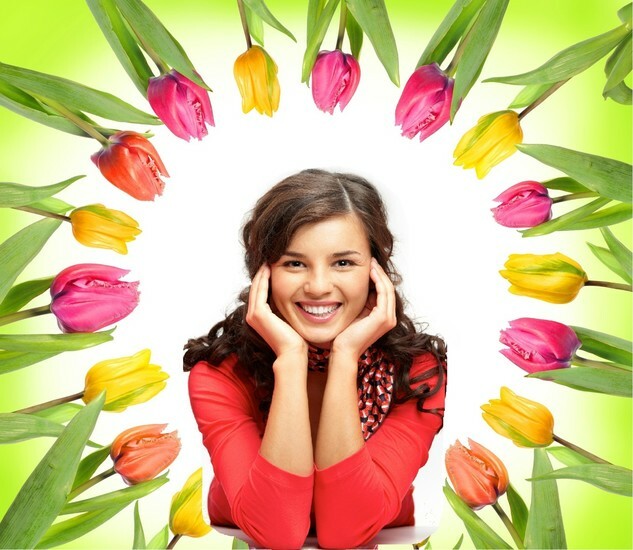 After converting the date to the Gregorian calendar, March 8th became International Women’s Day. It is celebrated in every nook and cranny in Russia and flowers are sold by the dozens. Following the October Revolution, the Bolshevik feminist Alexandra Kollontai persuaded Lenin to make it an official holiday, and during the Soviet period it continued to celebrate ‘the heroic woman worker’. In the West, International Women’s Day was commemorated during the 1910s and 1920s, but dwindled. It was revived by the rise of feminism in the 1960s. In 1975, the United Nations began sponsoring International Women’s Day. The general idea of having an international women’s day worldwide was first put forward at the turn of the 20th century amid rapid world industrialization and economic expansion that led to protests over working conditions. Not so much the pillars of society as its elegant, yet steadfast Ionic columns, a veritable host of remarkable women have helped shape Mother Russia over the centuries. 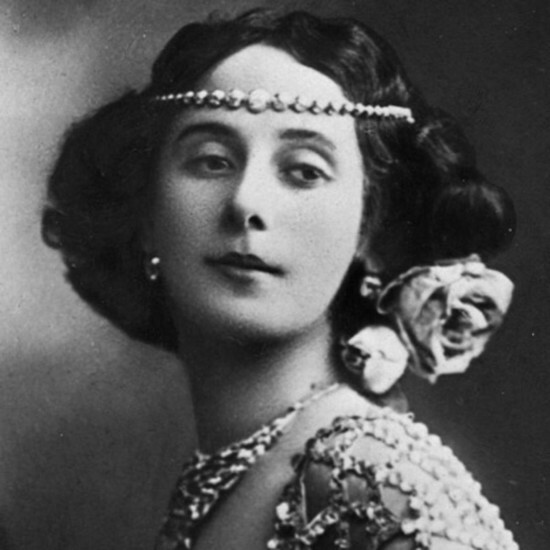 To mark International Women’s Day, we have selected just a few of the most influential, illustrious and illuminating female figures ever to have graced Russian history. You should never forget your granny on March 8th, so nor will we: in fact, we’ll kick off our list with Vladimir the Great’s. 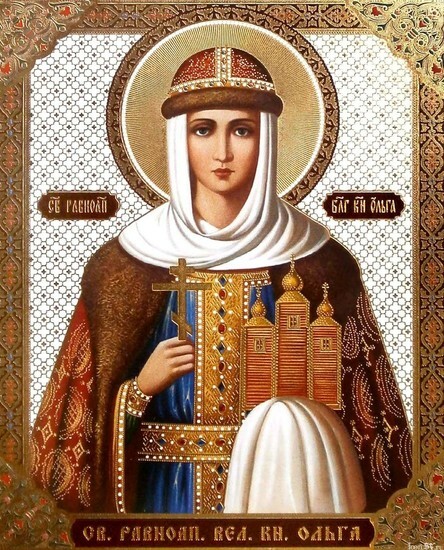 A convert to Christianity at least 30 years before Kiev Rus’ followed suit, Olga was, by all accounts, not someone to be trifled with. In 945, her husband Igor, son of Rurik, was killed by the Drevlians while attempting to collect tribute – it was apparently the second collection within a month, hence their ire. In response, Olga had various Drevlian envoys buried or burned alive, before inviting another 5,000 to a feast, who were also slaughtered. She then sent an army to raze their city to the ground with the aid of – we kid you not – incendiary-equipped birds. Most likely of Varangian descent, her name is a derivation of the Old Norse Helga, meaning “holy”, and is of course still in common use today. 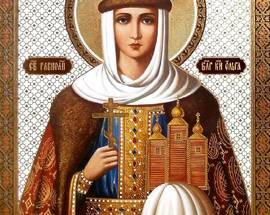 Upon conversion to Christianity she took the name Elena, and ruled as regent until her son, Svyatoslav the Brave, reached maturity in 963. In fact she ran domestic matters for a good few years after that, as Svyatoslav was much happier waging war on neighbouring fiefdoms. Mindful no doubt of her husband’s fate, Olga made changes to the tribute system in accordance with which appointed officials, and not the ruler himself, did the collecting. She is thus credited with making the first recorded legal reform in Eastern Europe. ​Nadezhda Durova The daughter of a Russian army officer, Nadezhda Durova was raised in the care of her father’s subordinates following a near-death experience in her early years when her unstable mother, who had wanted a son, snatched her from the arms of her nanny and threw her out of the window of a moving carriage. It is said that her favourite childhood toy was a gun, and she wrote in her own memoir The Cavalry Maiden that her “first cradle was a horse’s saddle”. The call of the army did not leave Durova when her father retired, and in 1807 she absconded from home, disguised herself as a boy and joined up, fighting with distinction in the Prussian campaign of 1806-7. When she finally wrote home from the front, her family used their connections to try to locate her, and word that a woman was serving in the Imperial Army eventually reached an intrigued Alexander I. When she was summoned to court, Durova so impressed the Tsar that he awarded her the Cross of St George and promoted her to the rank of lieutenant. In 1812 she saw action at both Smolensk and Borodino, sustaining a leg injury at the latter from a cannonball. The Cavalry Maiden, considered one of the earliest autobiographies written in Russian, may never have come to light at all had Durova not been persuaded many years later to publish her war diaries by a certain Alexander Pushkin. Born Sophia Augusta Frederica, Catherine took her more familiar name upon conversion to Orthodoxy at the age of 15. Her zeal to be accepted in the Russian court was such that the young princess very nearly died of pneumonia a few months previously as a result of walking barefoot round the palace at night reciting her Russian lessons. But although Catherine did not inherit Peter the Great’s genes, she certainly fell heir to his expansionist instincts, rapidly augmenting her empire to the west, south and east. She also opened up Russia’s second route to the open sea through the Bosphorous following her emphatic victory over the Ottomans in 1774. 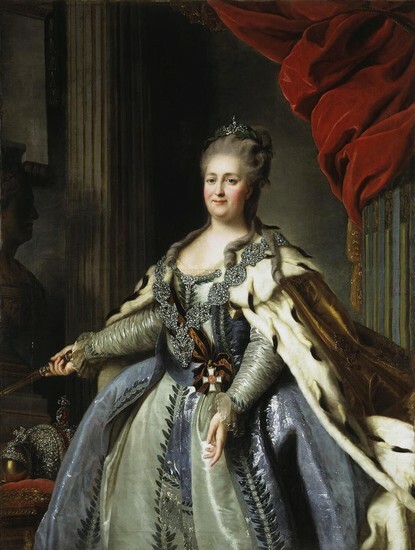 At home, Catherine presided over a flourishing of social and cultural life, although the path she trod between autocratic ruler and enlightened thinker was not always smooth: an enthusiastic correspondent with the leading intellectuals of the day, shortly before the Pugachev rebellion she famously stated to Voltaire, “no single peasant in Russia could not eat chicken whenever he pleased”. 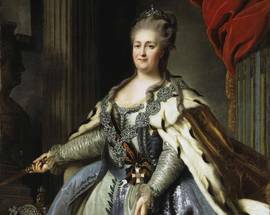 Undoubtedly one of the central architects of Russia’s rise to the status of global power, Catherine may have been a conflicted character, but her legacy is beyond doubt. ​Behind every great man, and all that, but this literary giant’s devoted spouse must really be put in a category of one. If you want evidence, look no further than the fact that she is said to have copied out – and edited – the manuscript of War and Peace not once, but seven times. Sofia was introduced to her husband’s writings at an early stage in their relationship: on the eve of their wedding he is said to have given her his diairies, which detailed, among other things, his “idiscretions” with female serfs, one of whom had borne him a child. Undeterred (although presumably more than a little miffed), Sofia added another 13 official offspring to the Tolstoy total, although “only” eight were to survive childhood. Tolstaya can also lay claim to being one of history’s first social photocorrespondents, having taken up photography in 1887: she left a collection of over 1000 photographs depicting not only her husband and life on the Yasnaya Polyana estate, but also more generally the last days of tsarist Russia. She also left her diaries, and a memoir simply entitled My Life. Sofia’s 48-year marriage ended on a sour note: after continual conflict over Toltsoy’s stated determination to relinquish all his worldly possessions, Leo abruptly left his wife at the age of 82, and died less than two weeks later. the October 1917 Revolution, Alexandra Kollontai was the first People’s Commissar for Social Welfare, and during her relatively brief spell in governnment, founded the Zhenotdel (“Women’s Department”), which worked to improve the lives of women under the new regime. Born in St Petersburg in 1872, Kollontai (she retained her surname from her brief first marriage) had become interested in radical political thought while studying in Switzerland. Originally from the Menshevik faction, she went across to the Bolshevik’s in 1915, but after the revolution became increasingly critical of Lenin’s policies, and she was ultimately sidelined into a diplomatic career. Appointed Soviet Ambassador to Norway in 1923, and later serving in Mexico and Sweden, she was to remain in post in Stockholm until the end of the Second World War. An unflinching advocate of free love, Kollontai’s death in the early 1950s, just short of her 80th birthday, meant that she did not live to see the wider embracing of her ideas in the decades that followed. Her second marriage, to fellow Communist Pavel Dybenko, was also not to last, although Leningrad’s town planners have had the last word: Ulitsa Kollontai and Ulitsa Dybenko run parallel in the eastern part of the city, aptly connected by Prospekt Bolshevikov! ​Born in 1850, Kovalevskaya was a renowned mathematician, writer and advocate of women’s rights in the 19th century. Her struggle to obtain the best education possible forced her to study overseas, and she entered the University of Heidelberg in 1869. Dedicated to social reform, Kovalevskaya made a key contribution to opening university doors to women in Russia. In 1883 he lectured at the University of Stockholm and was made Professor of Mechanics, becoming the first female professor in Northern Europe. In 1888 she was awarded the coveted Prix Bordin by the French Academy of Sciences for a pioneering paper on the motions of bodies, and the following year, after vociferous lobbying by her peers, was granted a Chair at the Russian Academy of Sciences, although she was never to receive a full professorship. In addition to her mathematical writings, Kovalevskaya also published her memoir A Russian Childhood, co-wrote a number of plays, and authored the semiautobiographical novel Nihilist Girl. ​Were you to compile a list of countries producing tragic literary geniuses, Russia would probably be right near the top. If you then made another list just for Russia, then Marina Tsvetaeva would most likely be at or near the top of that one. 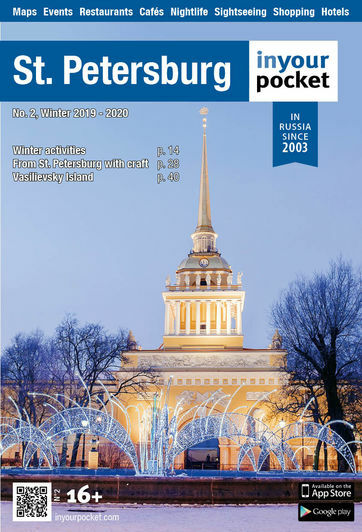 Born in Moscow in 1892, Tsvetaeva’s family left Russia for warmer climes during her early teens in a futile attempt to prevent her mother from succumbing to tuberculoisis, and in 1910, aged just 18, she published her first collection of poems to considerable acclaim. Having returned to Russia after the revolution, with no financial support, and her husband Sergei Efron fighting with the White Army, in 1919 she placed both their daughters in a state orphanage, where the youngest died a year later aged just 3 years old. In 1922 Tsvetaeva went into political exile, living in poverty in Paris, Berlin (where she was reunited with Sergei, who she thought had been killed) and then Prague. In 1939 she went back to the Soviet Union where both Sergei and her surviving daughter Ariadna were arrested as spies. In 1941, Sergei was executed, Ariadna imprisoned, and Tsvetaeva hanged herself not long afterwards. Boris Pasternak wrote: ‘The greatest recognition and reevaluation of all awaits Tsvetaeva, an outstanding twentieth century poet.’ Tsvetaeva left an immeasurable literary legacy, but her rehabilitation was not to begin until the 1960s. ​Marina Raskova On a lighter note, in 1938 Marina Raskova took part in the first non-stop flight from Moscow to the Russian Far East. With an all-female crew, the flight lasted 26 hours and 29 minutes, but for Raskova the journey was to last a great deal longer: in poor visibility they lost their bearings to the landing site, and with her navigators’ compartment nonsurvivable in the event of a forced landing, she was forced to bail out in mid-air. Armed with only a revolver and two chocolate bars, it was another 10 days before she found the plane in the wilderness. Following the outbreak of the Great Patriotic War, Raskova formed three women-only air regiments, evidently using her personal connections with Stalin to overcome both bureaucratic and chauvinistic hurdles. The most famous of these was undoubtedly the 46th Taman Guards Night Bomber Aviation Regiment, nicknamed die Nachthexen (“Night Witches”) by the Germans, which flew over 24,000 sorties during the course of the war in antiquated bi-planes, and produced a remarkable 24 Heroes of the Soviet Union. 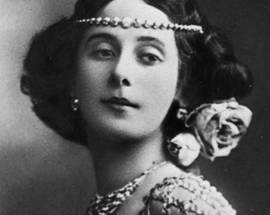 Raskova herself, whose childhood ambition was to be an opera singer, perished in 1943 attempting a forced landing near Stalingrad. The first Soviet combatant of the war to be given a state funeral, her ashes were interred in the Kremlin walls. ​Not only the first woman but also, as her enrolment in the Soviet Air Force was purely a formality for her to officially become a cosmonaut, the first civilian in space, Valentina Tereshkova is the first great woman on our list to still be alive today. 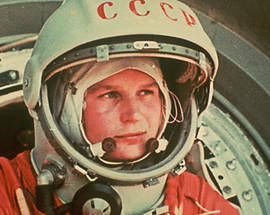 A textile worker by trade, it was her weekend hobby, skydiving, that led to her advancement into the fledgling Soviet space programme. Selected from over 400 applicants, Tereshkova blasted off on her first (and only) flight on 16 June 1963, completing 48 earth orbits in just under three days, in the process notching up more space time than the entire US manned space programme had up to that point. Ha! Tereshkova’s post-cosmic career took her first into engineering, thence into politics, where she became a high-ranking member of the Supreme Soviet and the Central Committee. 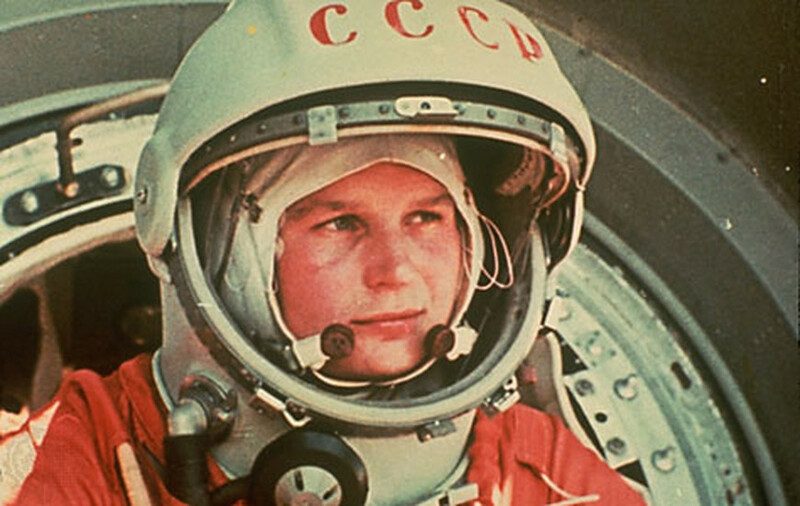 Nor did her star fade with the collapse of the Soviet Union – Tereshkova remains a revered figure in Russian public life, and was one of the flag-carriers at the opening ceremony of the 2014 Winter Olympics in Sochi. At one time a member of the research team looking into the feasibility of going to Mars, in 2013 Tereshkova, then 76, was quoted as saying that she’d still be prepared to go, even if it ended up being a one-way trip.